With a name like Love Cottages we hope you catch the drift that we’re all about cottages, holiday cottages that is, and that we’re pretty keen on them. We’re also keen to impress that we know what we’re talking about. Collectively, we know our stuff. Behind our virtual boardroom door sit the owners of some of the UK’s most established and well known self-catering agencies. You know the ones. Those agencies are our founding members. And like us, their fervor to preserve the reputation of the cottage holiday and share all its joys is wholehearted. Linen and towels are usually provided – long gone are the days when self-catering meant self-service. Obviously, if you’re particularly attached to your pillow, feel free to take it along. The cottage’s kitchen cupboards won’t be bare. Most holiday homes now supply pantry basics (condiments, tea, coffee, sugar plus enough fruit, milk, bread, butter and loo roll to get you through the first day). So if you’re planning to patronise the local grocer, butcher and baker during your stay rather than the retail giants, you’ll have enough to at least quench your thirst and line your stomach when you arrive at your holiday abode. You’ll typically arrive to a warm home with a heartwarming, locally themed welcome hamper (forget those days of having to turn the heating on when you get there). Most cottage owners and certainly our self-catering agency partners are passionate about the local communities where they have their holiday homes. The guest welcome hamper has become an opportunity to showcase the very best of all things local and naturally to encourage guests to buy local during their stay. Across the team we’ve been on the grateful receiving end of locally baked bread and cakes when in Conwy, Trewithen Dairy butter when in Cornwall, even a bottle of Brightwell Vineyard wine when in Oxfordshire one weekend. Renting a holiday cottage isn’t all log fires and board games (though there’s plenty of that available). Holiday homes are successful enterprises because they’re near to local attractions and activities. Most cottages supply a book or file hosting flyers and brochures for ‘what’s on’ in the local area. 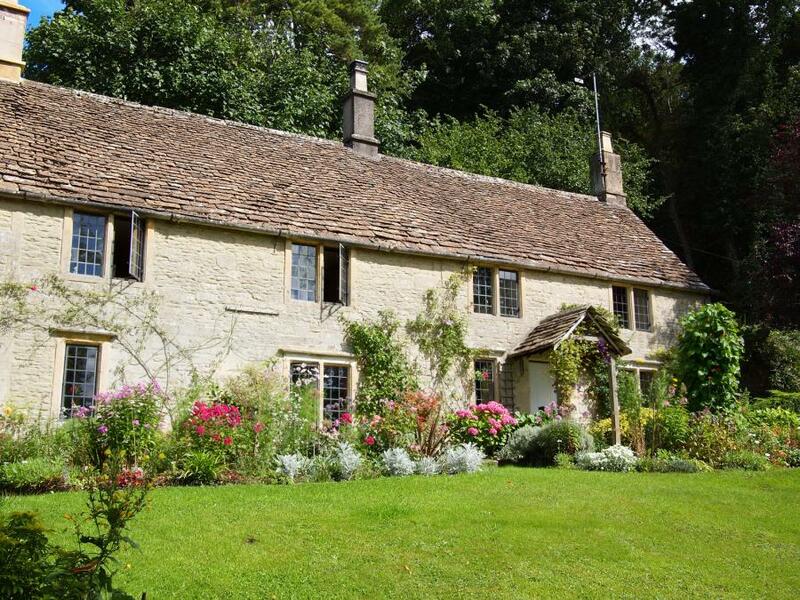 You may also find that your particular cottage comes with a list of events on in the current month for you to partake in – you never know what you might experience (think cheese rolling at Cooper’s Hill, Gloucestershire or feeding newborns lambs at Ash End House Farm, Staffordshire). Some cottage owners even secure discounts for guests at local cafes and attractions. If wading through flyers isn’t your thing, brew that pot of coffee and take a moment to flick through the guest book. Long before the days of TripAdvisor, the domain of holiday reviews, recommendations and feedback was the humble guest book and all its semi-decipherable handwriting. The guest book is mostly a resilient feature of the cottage holiday, so take a peek and don’t forget to share your experiences for the next guests to enjoy too. It doesn’t get much more family friendly, especially if you’re juggling a baby (not literally, obviously). Although nobody wants to consider washing up and laundry on their holidays, when you’ve got young children in tow there’s a choice, isn’t there. You either pack for every eventuality or you succumb to the occasional load of washing. So most holiday homes in the UK come with a washing machine and tumble dryer, or washer-dryer. They also mostly can provide cots, high chairs and stair gates. The very best will even have some toys. Dogs are often welcome and well catered for, but not every home is pet friendly (for those who have allergies this is good news). Holiday cottages aren’t just for summer. In fact, one of the most popular times to take a UK self-catering holiday is the period over Christmas and New Year. If you’re lucky, you might even find your cottage bedecked with Christmas trimmings. It doesn’t always rain in Britain, but we can’t guarantee sunshine. Yes, we do advise that property managers photograph their cottages on bright, sunny days, but then we’re not sure you’d buy the holiday at all if they photographed it on grey, rainy days. So bear with us! The UK cottage holiday really has come on leaps and bounds since the 1980s. We asked the team for their childhood memories compared to their more recent experiences and the shift is astounding. The memories were largely of cold, uncared for houses serving a purpose rather than creating a holiday. Homes that were somewhat unloved and ‘sold on’ to paying guests as a more financially viable option than a hotel and less bleak than a caravan. Today, holiday home ownership is as much a status symbol as how much wow factor is packed into the design and how fully booked it is. Self-catering holidays have well and truly been through a renaissance. They compete equally with hotels and B&Bs for consideration amongst all generations, demographics and groups sizes. Why? Because there is so much choice when choosing a holiday let these days that there really is something for everyone and every budget. If you have one of those dreary memories, we challenge you to have a mooch for a holiday home when you’re next holiday planning. With so much improvement and so much choice, what’s not to love. Rest assured.